Anti Twist Device from LPG adapter stops kinks and twists of lpg hose when filling propane gas cylinder bottles at autogas stations. 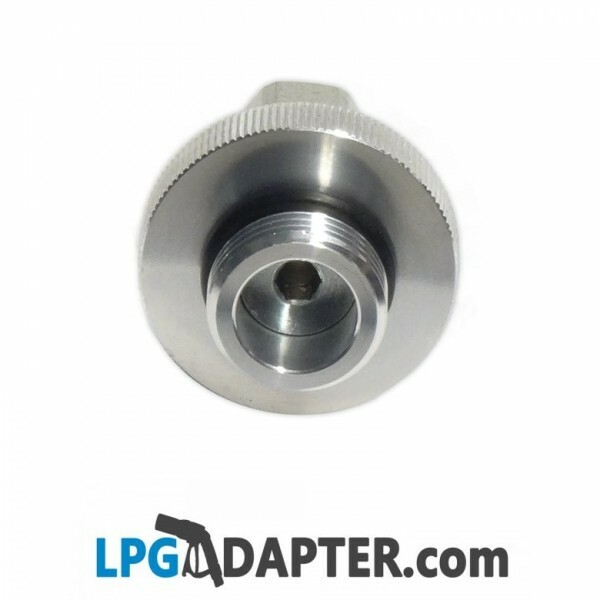 The W21.8 to 8mm lpg propane bottle filling adapter. This Anti Twist Device W 21.8 to 8mm lpg adapter helps refilling of LPG gas Propane bottles. On one end it has MALE W21.8 and 8mm FEMALE compression fitting is on the opposing side. 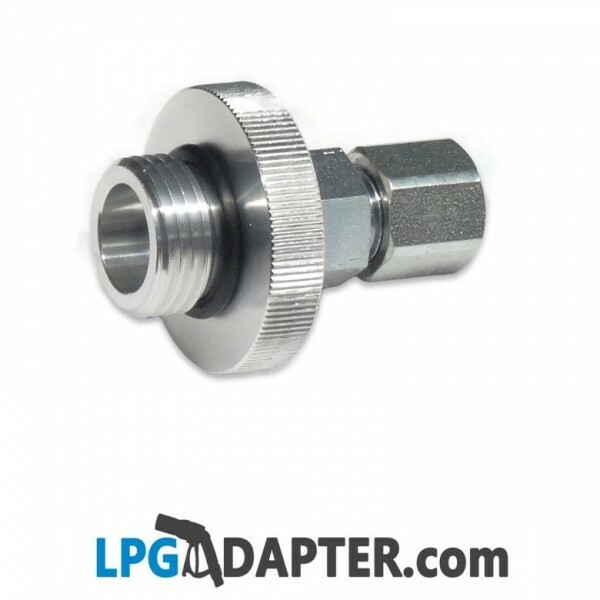 The W21.8 is designed to fit into POL Propane cylinder filling adapter or Euro LPG gas bottle type. 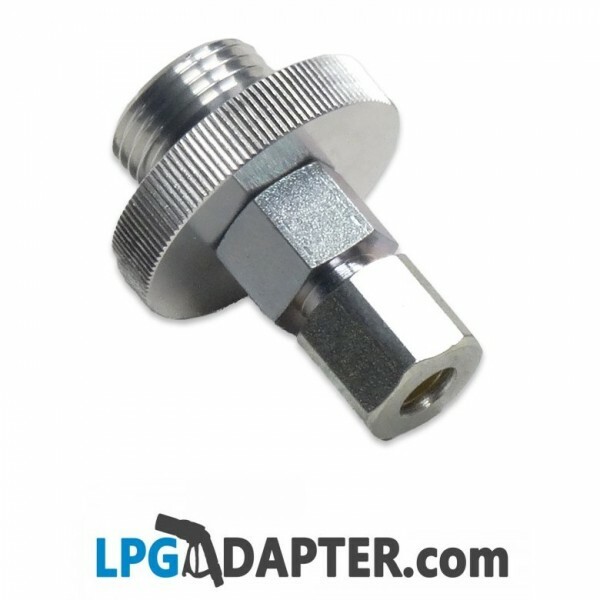 This lpg adapter has a unique anti twist design allowing for the lpg gas hose used with POL remote filling adapter system to rotate freely and without leaks to secure on to a standard propane cylinder. It replaces and is it sold alongside the original W 21.8 - 8mm adapter.